+12 With the ubiquitous spread of the Internet, personal computers and digital devices, and DIY websites, blogs and ebooks, the barriers to publishing for aspiring authors and writers are lower today than at any time since the invention of the Gutenberg printing press. The guide then looks at manuscript presentation. This section is of relevance whether your ‘manuscript’ is a fiction or nonfiction piece, a report or proposal, or any other form of writing. Formatting, pagination, headings, quotations, bibliographies and references, and the correct use of citations are as important to the writer of an essay as they are to the author of a book. Denise O’Hagan has produced a style guide that can be read and enjoyed in its entirety (note the possessive its without an apostrophe?) or simply for reference purposes. I'm thinking of dipping into it as a style-primer before I start writing each day! Disclosure statement: I was invited to review the Mini Style Guide and write the foreword for the book by the author, Denise O'Hagan. I received no payment for the review or foreword. Tall And True receives affiliate sales income for books purchased from Amazon.com.au links on the TallAndTrue.com website. NB. 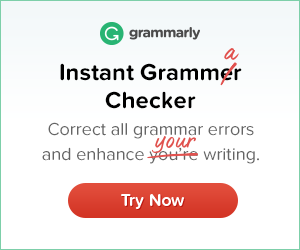 You might also be interested in this Writing Tips piece, Grammarly - My Editor and Proofreader Friend.